Are you ready to travel further on your fancy car? Just drive through the narrow road, dodging all obstacles on your way. Drive a car and make sure that nothing stops you. There will be a lot of obstacles on the road as long as bonuses, which you must collect. Fill the booster and accelerate! 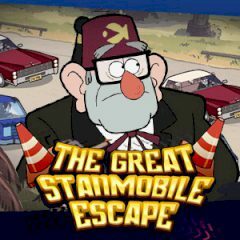 Play Gravity Falls Mystery Shack Mystery?